Cupped overbust corsets are often confused with bustiers or Merry Widows, but in the words of Julia Bremble, “a corset with cups is as corsetty as any other corset if it does a corsetty job.” I personally adore my cupped overbusts because they give a more natural silhouette under clothing compared to conventional overbusts (which may flatten the bust or lift the bust too high). Wearing a well-made cupped overbust under clothing looks like you’re wearing a bra, combined with a cinched waist. They work very well under strapless dresses, and in particular vintage shelf-bust dresses. Those who are particularly heavy-busted may find that a cupped overbust takes considerable pressure off the neck, shoulders and upper back by supporting the bust properly from below and eliminating the need for shoulder straps. If you don’t like the cupped corset aesthetic, I have another gallery featuring corsetieres that make conventional overbusts (without cups) designed specifically to fit top-heavy women. *Corsetieres, if you have made cupped overbust corsets and you have a photo to submit to the gallery, please feel free to email me here. Safe-for-work photos are preferred. Thank you! Ivy Rose Custom Designs hand-dyed cupped overbust. *Please note that I have not personally tried every corset brand in this list, nor do I necessarily endorse every company in these guided galleries. This is for informational purposes only; please email any of the above makers to learn more about their corsets. Tiddly links are Etsy Affiliate links which help to keep this gallery online and free to use. Hello Althea, the prices are in the caption under each photo (where the prices are known). All of the corsets in this gallery are from other corset makers around the world – so if you’re interested in buying any of these for yourself, please click through the photo of the corsets you like best. You’ll be redirected to that maker’s website where you can learn more, contact the maker with more questions, and buy from them. Seems that the Ardent Collection website is no longer working. Hi Paul, the website is working fine for me – their site might have simply been temporarily down. Can you please send me pricing on everything made out of leather. Hi Samantha, you will need to contact each of those makers individually for their quotes in leather. Click the pictures to be redirected to the maker’s website where you can learn more and contact them directly. I am older and have problems with my neck and shoulders. I am looking to replace bras with corsets, hopefully to get relief from the strain and migraines. 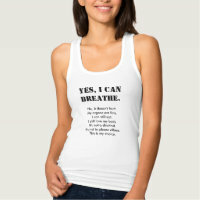 I am looking for something to wear under clothing and still feel comfortable and cool. I wear an F or G cup. I also have issues with mobility and need all closures to be in front or on the sides. Hi Teddi, with your needs, it would be best to go custom made. 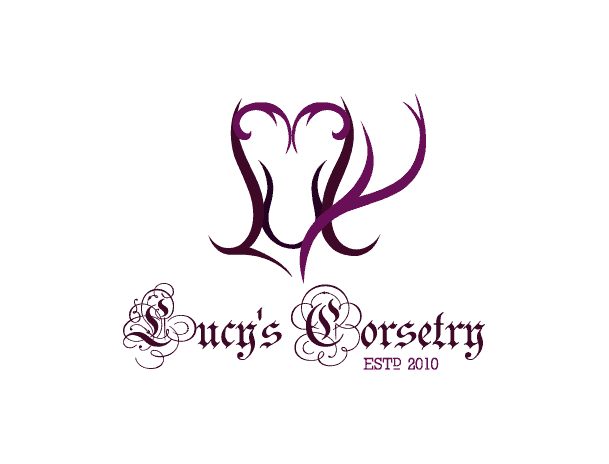 As you’ll need a personal fitting, I recommend checking out the corsetiere map and finding a maker who is local to you. Some of the makers that do the best work in overbust corsets include Crikey Aphrodite in the UK, Dark Garden in the US, Lace Embrace in Canada (anyone with a yellow marker in the interactive map) but anyone you can get a personal fitting from would be a great advantage to you. can you please recommend a custom designer near houston tx USA that designs overbust w cups for large busted (40g or h) women. so far, no one has returned my email messages. I shop for bras at top drawer lingerie in houston, near the Galeria and love them…but my choices are always so limited. I have neck ank shoulder pain from lugging my bust around and read that an overbust corset could helt. Hi Sarah, have you checked the Corsetiere Map? There are a couple of corset makers within driving distance of Houston. Not all of them may do cupped corsets but they may be able to still make you a more traditional overbust corset that is still very supportive for your bustline. I can’t seem to find such a corset. Having a large bust is very difficult to get good fittings. I would really like it get them. Hi Rachel, the corsets in this gallery are not made by me, I just compiled the information. If you click on the photos, you will be redirected to each corset maker where you can learn more and order a corset from them. Hello Lucy, I’d like to ask, what do you wear under such corsets? I would love to have an overbust corset, but I don’t know, how to wear them. On all the photos women seem to wear nothing underneath, but that must surely ruin the corset after some time, no? Thanks a lot. Hi Mila, thank you for your comment! I wear a tube top or corset liner under my corsets, even my overbusts most of the time. One designed for an underbust corset, so it extends from under the breasts to the top of my hips – that way any sweat or oil on my body is absorbed by the liner and so my corset remains clean. But my bust is usually not covered by a liner (because that would be visible with an overbust corset). I have a video about corset liners here. Hi Fiona, sorry it’s been a little hectic so I haven’t sent out a newsletter in awhile – once things calm down for me a bit I’ll send out more info! Thanks for your patience! Dear Lucy, thank you so much for putting up this site! I am having a small dilemma! I need to locate a corsetiere who can do BOTH large cup over bust AND wide hip-spring, as I’m a natural hourglass figure with a small waist but I’m also plus-sized, can you recommend someone? There are no local corset makers in my state, so a website/internet savvy is a must. I (and my tired back & shoulders) would be grateful for help! Hi Caroly, I’m so glad you like my website! :) Have you looked through the galleries for large bust overbust corsets, and for the plus size corsets? There are many corsetieres who would be able to help you (even with long-distance mockup fittings) like Jupiter Moon 3, Dark Garden, and Luscious Pearl Designs. Just to add: Dark Garden and Pop Antique now make cupped overbusts as well. (http://www.darkgarden.com/products/adelaide and http://www.popantique.com/flirt) I haven’t personally tried either, but I have spent plenty of time ogling them. Thanks Rebecca! I’ll add them to the gallery. Could you send me the list of the “corsets and more” corset? The photos are under the “Collections” tab to the left. Here’s a link to the cupped overbust shown in this particular gallery.